Over the last 20 years, we’ve seen the transformative effects that big data has had on business. From agriculture to air travel, industries have been leveraging effective data use to drive huge increases in profit and productivity. So, what’s holding back the drinks trade? Well for starters, the drinks industry is uniquely fragmented. Before your refreshing bottle of beer reaches a consumer, it has to go from the producer, on to a network of wholesalers and distributors, and then circulated to a diverse array of licensed outlets. And while product flows down the chain, information doesn’t always flow back up and the industry’s severe fragmentation means that a lot of crucial data is left siloed somewhere along the supply chain. Ten years ago, this wasn’t a crucial problem for the industry, but what we’re seeing is that today’s consumers are crying out for marketing that is personalised to them. A study by Salesforce last year showed that 84% of customers wanted marketing that treated them as an individual and not a number, while 67% of millennials said that they always expect offers to be personalised to them. The digital economy has been a key factor in the explosion of data that we’ve seen in recent years. Online behaviour is easy to track, centralise and analyse. But when your industry’s consumer interactions exist almost entirely offline – how do you analyse them? 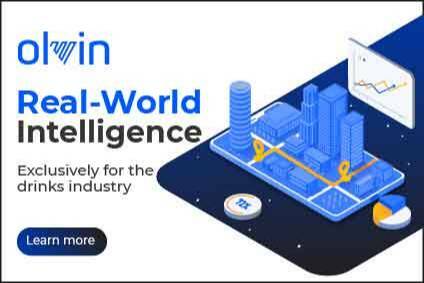 Olvin’s analytics suite uses location data to map real-world behaviour. The platform analyses over 200 million devices worldwide, and then groups them together based on similar attributes. That means that businesses can get a better understanding of their consumer journey. For consumers in the drinks industry, convenience and impulse are major factors in decision making. Why would you travel halfway across town to visit a bar when there’s one around the corner? That’s why localised marketing is vital. Facebook’s targeting system, currently the industry’s gold standard, can be precise to a radius of 1km. With Olvin, you can target people who have been within 25 metres of a venue. That means you can target people who have been in and around your outlets. When it comes to marketing, digital still reigns supreme. A bricks and mortar industry like the drinks trade needs a way of analysing their consumer’s offline behaviour in order to improve their online marketing. Olvin acts as the bridge between these two worlds – by digitising the entirety of your consumers’ journey. Olvin users can immediately put insights to action by purchasing tailor-made audience segments. By submitting this form, you give permission for your name and contact information to be shared with Olvin which may contact you in regards to the content. To read the full privacy statement click here.